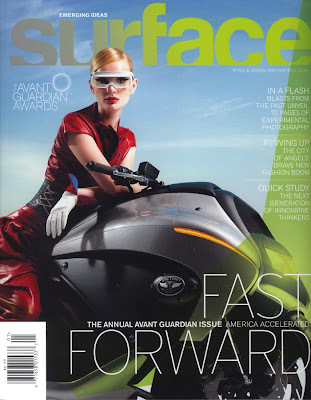 Surface magazine approached Jody Fausett for a editorial fashion shoot for this current issue. From the few models Jody had selected and sent to Surface for final decision, what do you know? They loved Shana Robbins. Check out the beautiful prints in person, but here’s a preview. Yay! This entry was posted in Jody Fausett, Publication on November 1, 2008 by Whitespace.